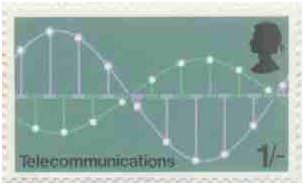 In 1937, Alec Reeves came up with the idea of Pulse Code Modulation (PCM). At the time, few, if any, took notice of Reeve’s development. Even Reeves was forced to abandon his invention unable to see how it could be implemented with the technology of the day. In 1965, some 28 years later, the Franklin Institute awarded Alec Reeves the Stuart Ballantine Medal for his pioneering work on PCM. Labeling it a “major communications invention”, the Franklin institute’s press release reminded the public that PCM had made it possible for the Mariner IV spacecraft to transmit its wonderful images of Mars back to Earth. But in 1965, the true potential of PCM was still untapped. Today, on the seventy-fifth anniversary of Reeves idea, PCM has become an indispensable element in our modern communications infrastructure and a fundamental enabler of modern popular culture. For example, PCM has very dramatically transformed the way we record, distribute, and listen to music. Alec Reeves, like other engineers working in telephony, grappled with the problem of the additive nature of noise when a signal underwent multiple amplifications along a long distance line. The development of telephony was a remarkable advance over telegraphy but it also introduced a new challenge. How was one to transmit an analog signal over long distances? Lee De Forest’s invention of the triode vacuum tube in 1906, which he called the Audion, not only heralded the birth of electronics and the rise of the radio broadcast technology, it also provided telephony with an important tool to expand the range of long distance calls: an amplification device. But each time the telephone signal was amplified, more noise would be introduced. Because of the dot-dash encoding, telegraphy did not suffer from the same problem. A telegraph repeater could easily replicate a weak dot or dash into a fresh one without introducing any noise. In 1937, Reeve’s had concluded that the best way to overcome the noise issue in long distance telephony was to transmit a digitized version of the analog voice signal. Alec Reeves was born on 10 March 1902, in Redhill, Surrey, U.K. Reeves’s father, Edward Ayearst Reeves, had a distinguished career as a geographer. He was noted author on cartography and the Royal Geographical Society’s Surveyor. In 1918, Alec Reeves went to Imperial College, London, to study engineering. After graduating in 1921, he did postgraduate study at Imperial College. In 1923, Reeves joined the London Laboratory of International Western Electric, a leading manufacturer of radio and telecommunications equipment. In 1925, after his firm had been taken over by International Telephone and Telegraph (IT&T), Reeves went to work at IT&T's laboratory in Paris. It was there that Reeves came up, in 1937, with the idea of using a binary representation of sound to overcome the noise issue in long distance analog telephone transmissions. It a sense it was a return to the robustness of telegraphy. Nearly seventeen years earlier, in 1921, Paul M. Rainey, from Western Electric, had filed a patent for a machine that would send faxes via telegraphy using a PCM-like technique to encode the optical scans of the pages.” An object of this invention,” claimed Rainey in his patent, “is to provide means whereby facsimile pictures, drawings or the like may be transmitted by means of code combinations or permutations of electrical impulses.” It took five years for the patent to be granted. Perhaps the patent office had difficulty wrapping its mind around the idea. Little is known as to whether Western Electric took the idea seriously and tried to produce a working prototype. Reeve’s knew nothing of Rainey’s PCM technique, which used an opto-mechanical implementation. Besides, Reeves was interested in an entirely different problem: noise in long distance telephony, using purely electronic digital techniques. The First Disclosure of PCM: Paul M. Rainey, "Facsimile Telegraph System," U.S. Patent 1,608,527. Filed 20 July 1921.Issued 30 November 1926. In 1938, after obtaining a French patent for his idea, he filed for a U.S. patent in 1939, which was then granted in 1942. His patent’s characterless title, “Electric Signaling System,” stood in sharp contrast to the great import of the patent’s contents. Many years later, Reeves recalled that, from the beginning, he “realized that it could be the most powerful tool so far against the effects of interference on speech — especially on long routes with many regenerative repeaters, since these devices could easily be designed and spaced so as to make the noise nearly noncumulative.” And yet Reeves walked away from this work. He realized that the PCM was an idea ahead of its time. The state of electronics at the outbreak of WW II was not up to the task of making PCM a viable commercial solution for telephony. Time would be needed for digital electronic hardware to catch up to the demands required by PCM. Finally, with the outbreak of war, Reeves’s focus shifted to the war effort and radar. He became be the Chief Scientist at Britain’s the Air Ministry Research Establishment, which had been founded by Watson Watt. During this time he also invented “Oboe” a system to for accurate bombing through overcast skies. “Oboe” was used in the large bombing raids over Germany and in the Pacific. Paradoxically, a wartime imperative brought a new impetus to the development of PCM, but this time from a very different need, one that had little to do with long distance telephony and noise. At the start of WW II, the only available technology for secure voice communication was the A-3 Scrambler system. U.S. military authorities did not know that the Germans had broken the A-3 Scrambler. Nevertheless top military officers like General George Marshal did not trust A-3 to securely transmit the most sensitive of information. Very early on in the war, the U.S. Army asked Bell Labs to come up with a new way of securing voice communications. It soon became apparent that digitizing the analog voice signal would allow one to apply cyphering techniques to the message. With cross-licensing agreements with IT&T, the Bell Labs people turned to Reeves work on PCM. The resulting speech enciphering system, called SYGSALY, became the first working example of PCM technology. Under the cloak of secrecy, Bell Labs made great strides in advancing the state-of-the-art in PCM techniques. By the war's end, several groups at Bell Labs had worked on PCM. 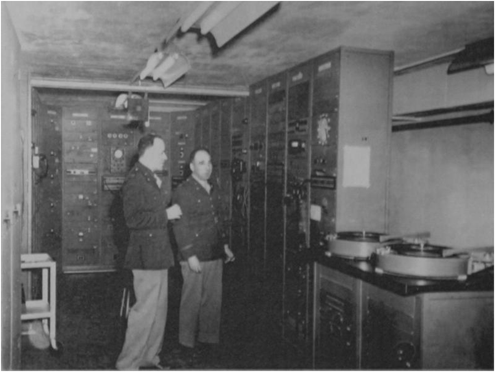 During the 1947-48 period, in numerous articles, the Bell Labs work on PCM finally became public. H.S. Black and J.O. Edson, who had been key people in Bell’s speech encryption efforts, published their account in the AIEE Transactions. They announced to the world that a “radically new modulation technique for multichannel telephony has been developed which involves the conversion of speech into coded pulses.” They also recognized the importance of Reeves patent. They concluded this important paper with “PCM appears to have exceptional possibilities from the standpoint of freedom from interference especially when applied to systems having many repeaters in tandem, but its full significance in connection with future radio and wire transmission may take some time to reveal.” It is interesting that Black and Edson chose an AIEE and not IRE journal in which to reveal this work to the world. In 1957, Black went on to win AIEE’s Lamme Medal. In 1948, which, in part, was due to his work in PCM. In 1948, Oliver, Pierce and Shannon published their landmark “The Philosophy of PCM” in the Proceedings of the IRE. Their paper, a rigorous analysis of PCM, confirmed the merits of Reeves original conception. What is striking about these papers, and all the others published by the Bells Labs group during the late 1940s, is the absence of any reference to speech encryption, which had been the driving force for Bell’s entry into PCM. The transition to civilian applications appears to have been seamless. When it came to it R&D investment in PCM, Bell Labs never took its eye off the company’s central mission, the telephone communications business. Although PCM for civilian uses had gotten off to a good start, progress remained slow. Reeves observed that PCM had been a child with a long infancy, and that, even in 1965, this technology was still in the adolescent stage. Adequate miniaturization was still holding back its development. But two decades after the invention of the transistor at Bell Labs, semiconductor technology was finally diffusing rapidly through the economy. This accelerated progress was finally providing the hardware needed to make PCM economically viable for the wider civilian market. Reeves believed that PCM was going to be essential enabler for the information society that was appearing on the horizon. ARPANET, timesharing services, and the rise of cable television pointed to a demand for technology that could move large volumes of information across national and international networks. In 1965, Reeves argued that, by the year 2000, transmitting “moving pictures” would also be an essential part of data networks. He also felt that the pressures on the transportation infrastructure would further increase the importance of PCM. In the year 2000 “commuters will refuse to accept the delays and inconveniences that even a moderate journey to and from their place of work would entail. We shall have to transport the brains, the skills of the staff, not their bodies, to their daily jobs, again involving not merely ordinary data !inks but a great many private television channels as well.” Reeves concluded his crystal ball gazing by suggesting that PCM would form the very backbone of the communications systems. He was on the mark with this prediction, but his suggestion of a revolution in commuting patterns may need a few more decades before it comes to pass. Although PCM had advanced considerably during Reeves’s life time, he never lived to see it outgrow adolescence. Reeves died in 1971. In 1969, the U.K. issued a 1 shilling stamp to commemorate PCM. 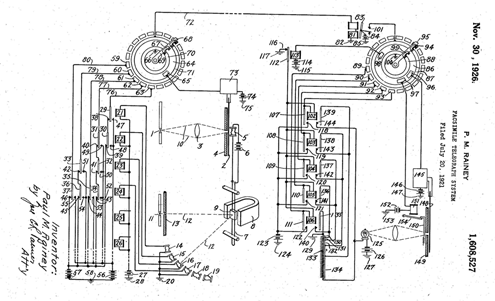 Alec Reeves, “Electric Signaling System”, U.S. Patent 2,272,070, 3 February 1942. B.M. Oliver, J.R Pierce, and C.E. Shannon, “The Philosophy of PCM”, Proceedings of the I.R.E., November 1948, 1324 – 31. Alec H. Reeves, “The Past, Present, and Future of PCM”, IEEE Spectrum, May 1965, 58-63. E. Maurice Deloraine, “The 25th Anniversary of pulse code modulation: Historical Background”, IEEE Spectrum, May 1965, 56-57. James E. Brittain, “Electrical Engineering Hall of Fame: Harold S. Black”, Proceedings of the IEEE, Vol. 99, No. 2 (Feb. 2011), 351-3. This page was last edited on 28 January 2019, at 21:34.